Well folks, another season is upon us, I hope you have your food plots watered and ready, all of your gear checked out and in good working order and may your harvest be bountiful. As you prepare for this season do not forget to have your taxidermist lined up. Don’t wait until you have that big buck or bear on the ground only to remember you have no freezer space or no taxidermist that you can trust with your trophy. 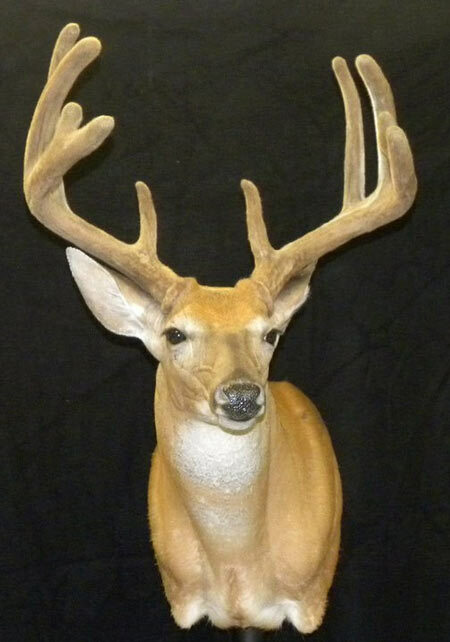 Just like any other part of scouting a hunt you need to scout your taxidermist as well, call and/or visit several different taxidermy studios. Once you have decided on the one that you wish to handle your work, make sure and have their business card located in the same place as your hunting license so you are not scrambling to get in touch with them. If you have never had anything mounted before, now is the time to ask questions on how your taxidermist prefers you cape/skin you trophy. Make sure you know what hours he is available and how you need to handle your trophy until you can get it to him. So many things to think about, but your taxidermist doesn’t have to be one of them if you do your homework ahead of time. If you have any questions drop me a line here or give me a call and come by and check out my work. Please be ethical and treat mother nature as she deserves to be treated, with respect, for ourselves as well as future generations to enjoy. Also respect your fellow hunters and the landowners and their property that allow us to do what we so love to do. I want to wish everyone a successful but most of all a safe hunting season.